In 2015 Mira Dutschke and I released our film The High Cost of Cheap Gas about the secret roll-out of gas developments in Southern Africa. 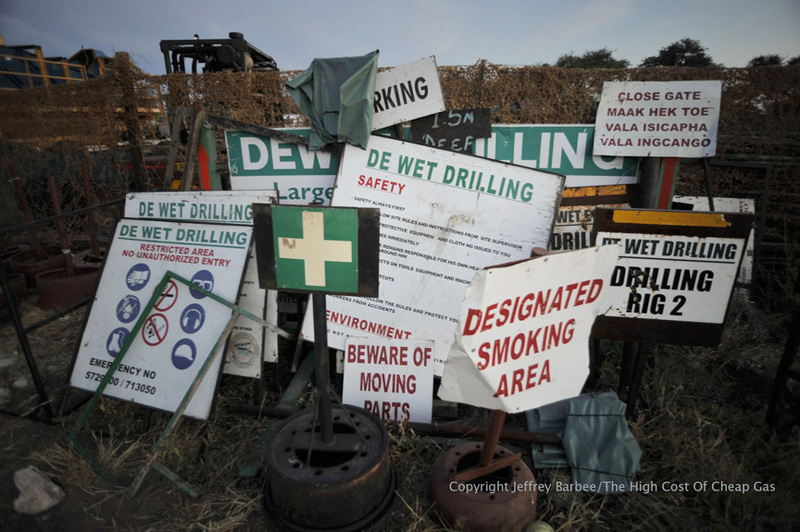 The film and it’s revelations published in the UK Guardian outlined a new drilling plan in Botswana. Companies had been hydraulic fracturing, or fracking, in protected areas like the Central Kalahari Game Reserve for years, exploring for good gas returns from Botswana’s coal layers. It was denied by the government at the time. We had on-the-ground interviews, photographs from the companies’ own websites and reports that you can download here, all clearly showing an ongoing gas exploration programme that included fracking with water and chemicals. The government finally conceded it may have happened and later went further, saying companies there had also used explosive charges to frack, as reported in Mining Weekly. Apparently Botswana has stopped fracking for natural gas (if it was ever officially allowed) after our follow-up story in the UK Guardian about possible drilling in the nearby Kgalagadi Transfrontier Park, according to regional drillers we spoke to last month. This sent companies like Botswana-based DeWet Drilling to more unregulated places like Mozambique, where they have recently been drilling as many as 76 gas wells for Sasol on-shore near Inhassoro, which their workers say will be fracked by French oil services company Schlumberger. According to our team’s research, today there is only one current working operation in Botswana producing gas from the original drilling plan. Outlined in their own corporate report from 2015, it is Australia’s Tlou Energy. On page 24 of this publicly available document it shows their ongoing gas project in the lower south-eastern corner inside and outside the Central Kalahari Game Reserve, (CKGR) called the Lesedi and Mamba areas, where they are apparently currently operating their ongoing gas project. Their 2013 report shows the position better, and we overlaid it onto the Botswana map here, so you can see where in the lower right of the CKGR. At the US Government Survey, they map exact earthquake locations worldwide with precision. According to their latest calculation, the tremor which shook much of the subregion this week is underneath the gas well drill sites where Tlou has been operating for at least the last five years. David W Eaton is a professor of geophysics at the University of Calgary and co-author of a December 2016 paper in the journal Science. His findings outline how in Canada a direct causal link between hydraulic fracturing and earthquakes has been detected. Up until then most earthquakes from gas extraction have been linked to waste-water injection, dewatering and ground subsidence. Those findings have been backed up through the scientific literature to the point that even big US oil and gas producing US states like Oklahoma have closed dozens of wells recently, according to CNN. So did fracking in Botswana cause Johannesburg to tremble? This is not actually possible to say scientifically without more information about what Tlou is doing in the central Kalahari. Are they still fracking? Are they injecting their waste water into deep injection wells? Jeffrey Barbee is the director and founder of AllianceEarth.org, an independent not-for-profit environmental and scientific reporting initiative investigating stories for the world’s media. 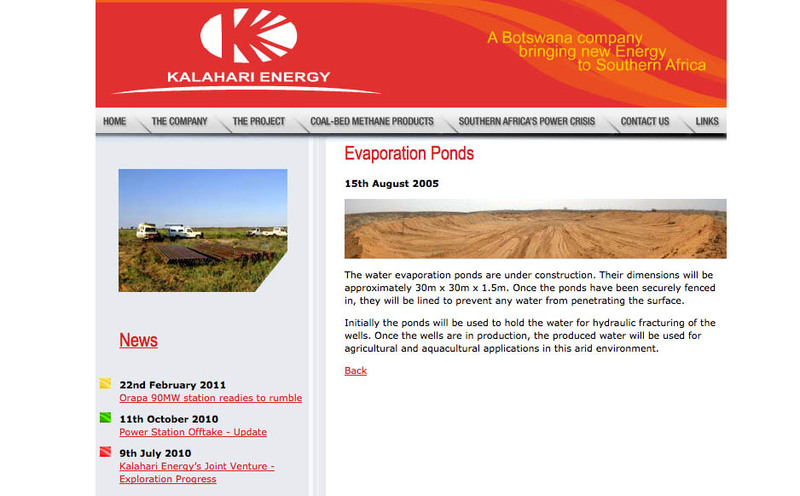 This entry was posted in Climate Change, Environment and tagged Australia, Botswana, CBM, Central Kalahari Game Reserve, CKGR, fracturing, gas, hydraulic, Tlou Energy.